The Tasmanian Community Fund has provided a $50,000 grant to assist AFL Tasmania and the Launceston City Council to establish a permanent Tasmanian Football Hall of Fame facility at Aurora Stadium. This is gratefully acknowledged by AFL Tasmania and the Tasmanian football family. The following article provides a detailed outline of the reasons why AFL Tasmania has determined to progress this important project of recognition and preservation of the history of the game. Tasmanian Football `Hall of Fame' at Aurora Stadium at York Park. The Tasmanian Football Hall of Fame will recognise and enshrine players, coaches, umpires, administrators, volunteers, media representatives, memorable games, great teams and clubs who have made a most significant contribution to the game of Australian Football in Tasmania since its inception in 1869. The Hall of Fame will be located at Aurora Stadium and accessible to all Tasmanians and other fans of Tasmanian football and sport history. The establishment of a Tasmanian Football Hall of Fame is a major project of AFL Tasmania in 2005 and beyond. 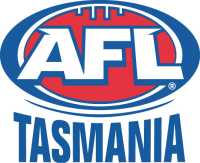 AFL Tasmania has determined that a Tasmanian Football Hall of Fame is the most appropriate and effective way to preserve and promote the culture, history and tradition of the game in Tasmania. 1. To appropriately and effectively recognise and reward the individuals, games, teams and clubs who are inducted into the Hall of Fame. 2. To build/develop and then promote an actual Hall of Fame at York Park in Launceston whereby the public of Tasmania and tourists to Tasmania can visit; to gain an understanding and appreciation of the culture, history and tradition of Australian Football in Tasmania. The Hall of Fame will be a place that celebrates and records Tasmania's rich football heritage. The location at Aurora Stadium at York Park in Launceston has recently been developed and is now positioned as the true home of Tasmanian football. Aurora Stadium at York Park is clearly the most appropriate location to establish a place that celebrates the culture and heritage of Tasmania's oldest and most popular community based sport. The Hall of Fame will improve opportunities for public appreciation, access, education and understanding of the rich culture, history and tradition of Australian Football in Tasmania. The Tasmanian Football Hall of Fame will provide lasting benefits to Tasmania's cultural heritage. The Hall of Fame will provide an economic benefit to Tasmania by encouraging sport tourists, members of the national football family and ex-patriate Tasmanians to attend Aurora Stadium to view the displays. Visiting sport stadiums for cultural / historical reasons, such as a Hall of Fame experience, is becoming an important feature of well presented and modern stadia. The Hall of Fame will be a place for the Tasmanian football family of participants and supporters to gather regularly to view the historical displays. It is expected that whole communities will support the Hall of Fame in regards to the induction of their local heroes / teams / clubs and the on-going recognition of their achievements. Already in the Hall of Fame's first year it is anticipated that the initial inductions will have a powerful unifying effect on regions and be uplifting for communities. Finally, it must be noted that the Hall of Fame will also compliment the existing heritage listed features of Aurora Stadium at York Park, which include the Northern Stand roof and the Main Gates which are both included on the Tasmanian Heritage Register. Australian Football Legend, Ron Barassi, has assisted AFL Tasmania in the announcement of the imminent creation of the Tasmanian Football Hall of Fame. One of his key messages to Tasmanians at that time was that the Hall of Fame should be a place which all young Tasmanians should visit at an early stage in their lives so as to appreciate not only the contribution of the sport, but also to learn about the values of the game, which are generally positive and can be applied to many life situations. In this regard the Football Hall of Fame will become an educational opportunity for all Tasmanians, but in particular those who are still attending school. We envisage that a Hall of Fame tour will be one that all schools will undertake as part of their educational experience and this will be promoted / facilitated by AFL Tasmania to all Tasmanian schools. As well, the Hall of Fame will recognise football across Tasmania and this reflects accurately the great challenges of regional distances, employment and demographic diversity, and the history of institutions such as the media, local councils, schools and in particular the football club. These institutions are intertwined with the history of Tasmanian communities and are thus beacons of our rich cultural heritage.